We know how very excited you are about your Wedding day! It would be an honor and a privilege to help you create an unforgettable, fun and exciting wedding reception. We will make your reception the best it can possibly be. 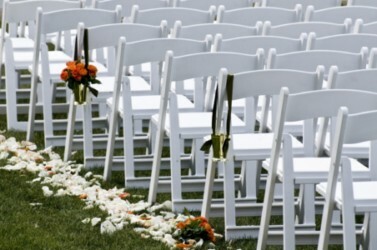 We know just how important your Wedding Day is! That is why Solid Gold Entertainment can be trusted to help you treasure the memories of your wedding day. Our professionalism and music selection will give you the peace of mind you need on your special day. We also provide BACK UP EQUIPMENT on site for your peace of mind. We always come prepared. Solid Gold is family owned and has performed at wedding receptions for many, many years. When you entrust us with handling the entertainment for your wedding our experience takes over. EXPERIENCE means everything. An inexperienced entertainer can ruin a reception. * We will also meet your special requests and make any announcements at the request of the wedding party and your guests. Extra hours of music if you choose to keep the party going! Dinner Music - Soft, relaxing background music to set the precise mood, while you simply enjoy your meal. Note: Complimentary with the dinner music is a cordless microphone for toasting and making those memorable speeches. Please Contact Us today to customize your wedding entertainment to your specific needs.